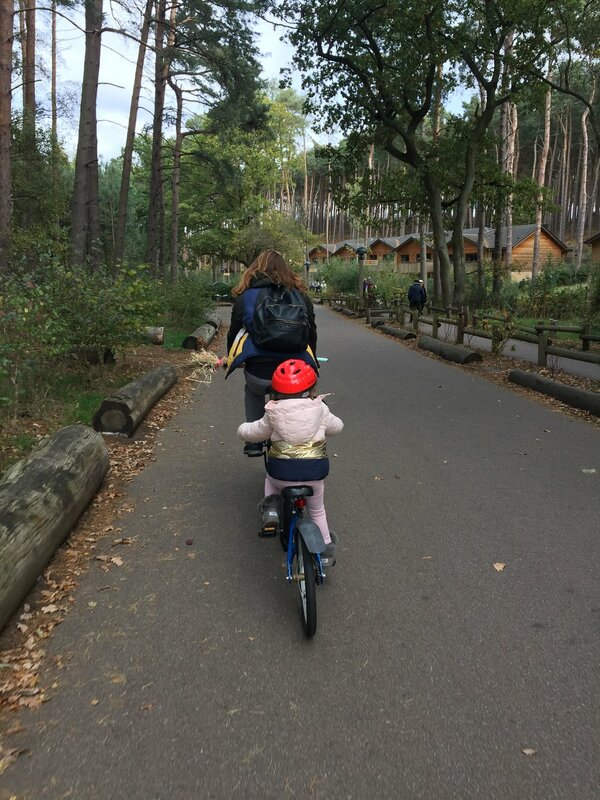 So let's talk Center Parcs. Here's the thing - I had a great time. There's no denying it BUT I had a great time because I was there with our mates and kids to celebrate a 40th. We laughed, we drank, we played games, we swam and we rode bikes. We also paid a lot of money to be there and, when all is said and done, I reckon I can think of a million things I'd rather have thrown cash at...like a colonic irrigation while drinking bin juice through a donkey's foreskin. I'm not saying I didn't like Center Parcs. As a concept I think it's right on. On the way there I felt like we were heading towards a 21st century version of Kellerman's from Dirty Dancing. That's what I wanted it to be. Perhaps I'd raised the bar too high. Perhaps it was the lack of Patrick Swayze grinding his hips that was the final nail in the coffin. Perhaps it was The Plaza? The Plaza is the hub of Center Parcs. It where the spa is, the activity rooms, the supermarket and restaurants. It also feels like an airport Terminal and not like Heathrow Terminal 5. It's definitely more Luton and the only good thing I can say about the Sport's Café is that it's big. We grabbed a table and fit high chairs, buggies and bags all around it without even touching the sides of the next table (anyone else just explode when you sit down somewhere?) but the food was average (although credit to them: a kid's portion IS a kid's portion!) and it took about an hour to come. The thing about Center Parcs is that it's pretty expensive to start with. You can reconcile yourself with that - it's the school holidays, it is what it is. It's just that their commitment to getting more money out of you never, ever stops. Swimming is free but we can't spend the whole weekend swimming and beyond that you can move without discovering they've nicked another tenner from you. They've provided nothing free to distract you from the possibility of handing over more cash. The playground is dire and totally unusable for a kid under 5. The soft-play is the size of a postage stamp: my two year old was bored in 4 minutes and 53 seconds and my 4 year old wouldn't even go near her. I couldn't blame her. You get the feeling this is a conscious choice on the part of Center Parcs. 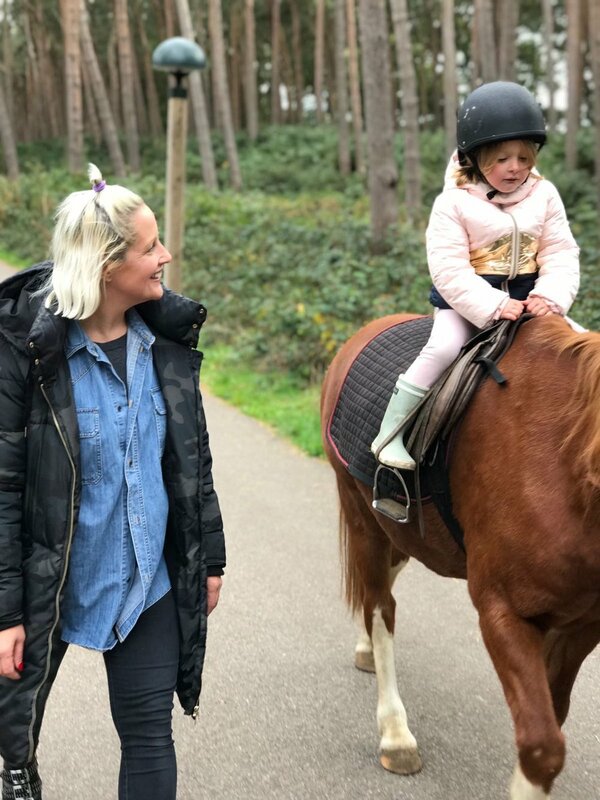 If they provided a badass adventure playground and a great soft play, there'd be little reason for us to throw £10 at a broomstick making workshop or £18 at 15 minutes of pony riding. There's little effort to offer you restaurants that you can't find everywhere else (and pay less money for outside of the Parc). Here's the thing: I'm happy to spend money but when I feel like I'm being shafted I'm only going to be grumpy about it. And as far as Center Parcs goes, I felt shafted to the point of needing an ice pack. So what's good about it? The swimming pool is great but there's no winch for disabled guests like my friend. Also, a kid did a turd in the pool at one point rendering it unusable for about an hour. I can't blame that on Center Parcs but it did nothing to improve my mood. The kid-sized trollies in the store were a godsend and while Billie was on the most expensive pony ride ever, we kept Bo entertained by walking around the supermarket. I'm sure some of you will have a break at Center Parcs booked because in this day and age, who doesn't? I don't want to put you off - we had a good time. All I want you to know is that it is going to cost you a fortune and, as long as you don't spend time thinking about what else you can do with that money, you won't care. Just commit to throwing money at every problem and you'll have a grand old time. Frankly, I couldn't help feeling that the whole thing would make an excellent starting point for one of Charlie Brooker's Black Mirror and that's not great, is it?